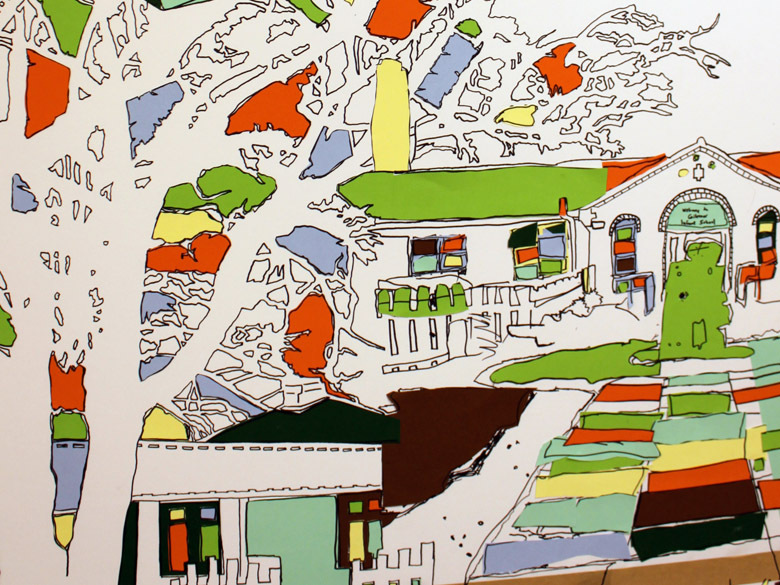 Whatever your creative project, David Bixter Design can provide a unique and creative service tailoured to your needs. 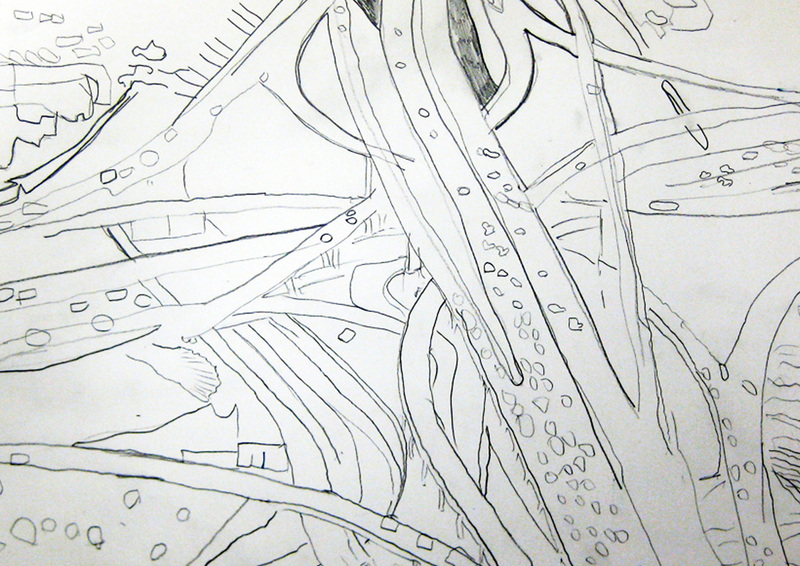 Check out recent projects below, or follow links for more information. 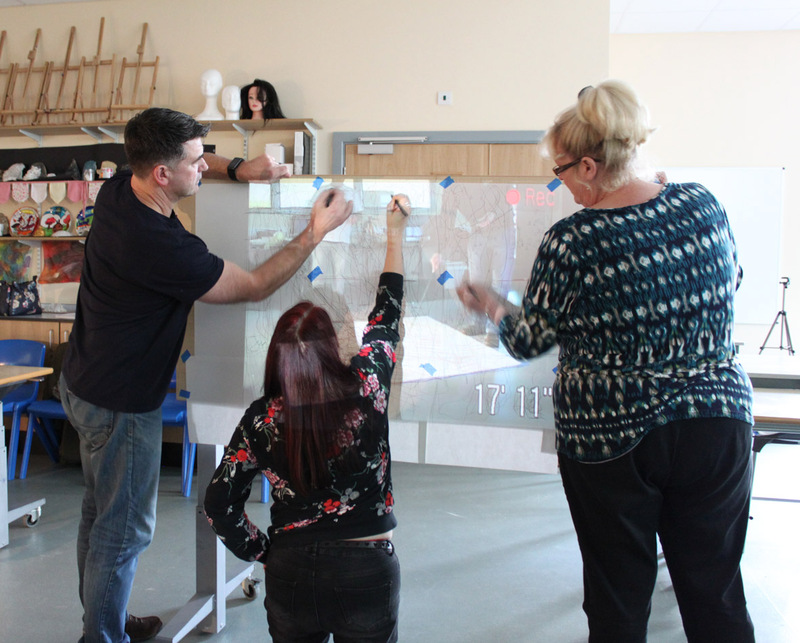 David Bixter has been delivering workshops with schools since 2004. 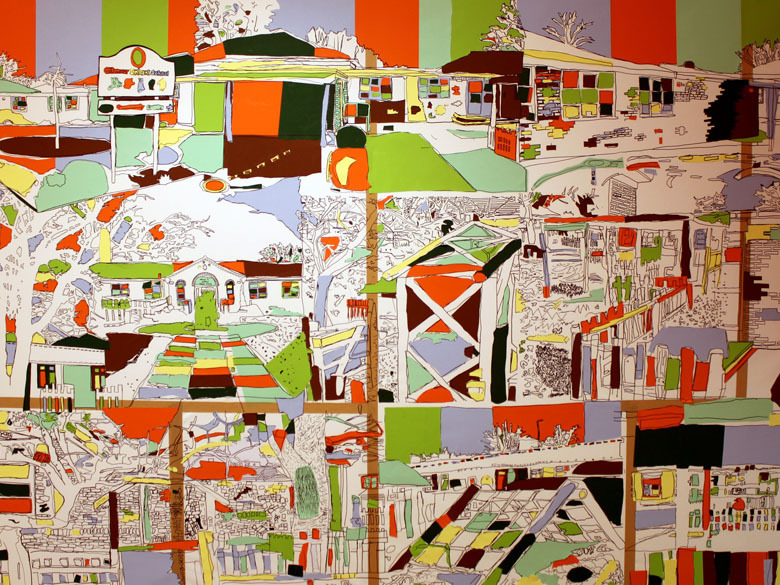 His cross-curricular approach and focus on developing students' creativity has led to the creation of numerous engaging artworks. 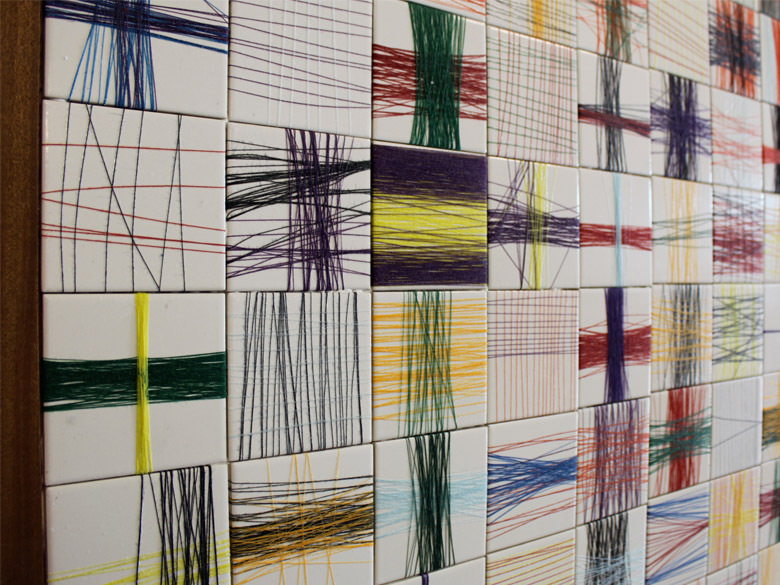 Click here to view selected projects. 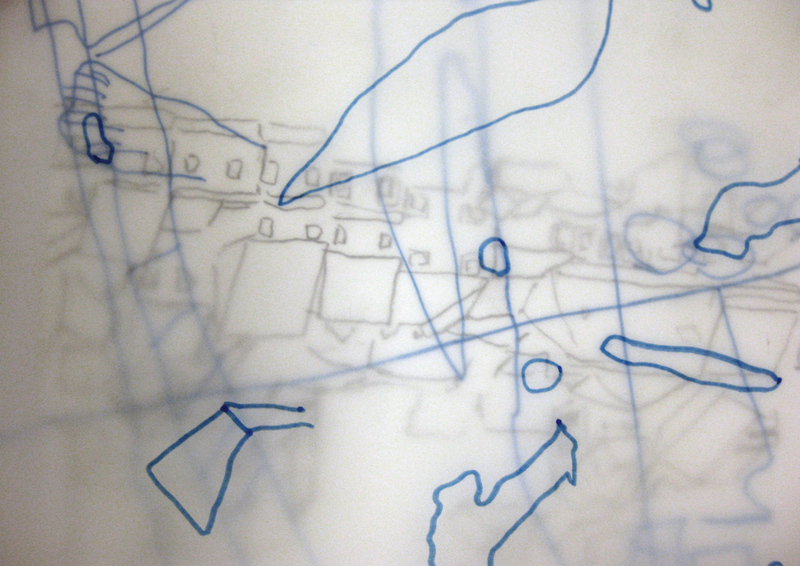 Workshops delivered over a number of weeks exploring themes of perspective, the built environment and sense of place. 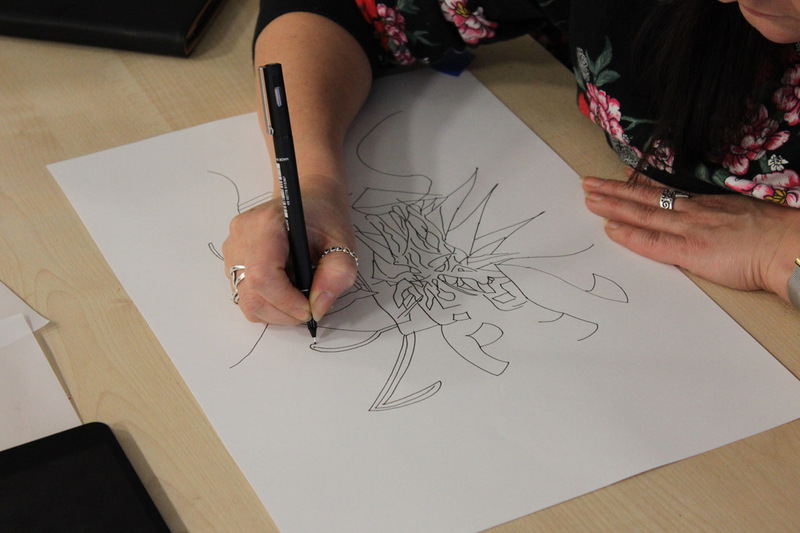 Amoung the artwork produced during these sessions were mutli-layered collaborative drawings which also introduced participants to concepts and processes of abstraction. 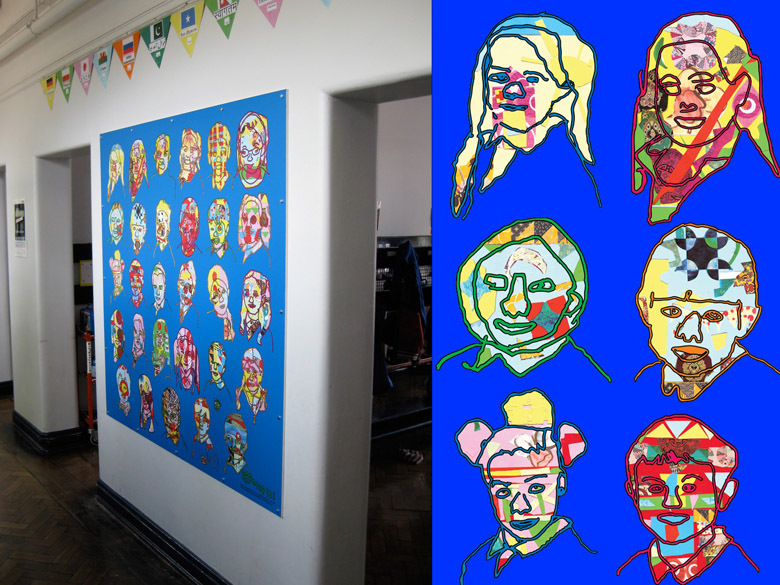 Working with Gilmour Infants over a number of years, a series of artworks was produced from large-scale wall murals - using collage and drawing onto projections - to colourful, Miro-inspired framed works hung around the school and headteacher's office. 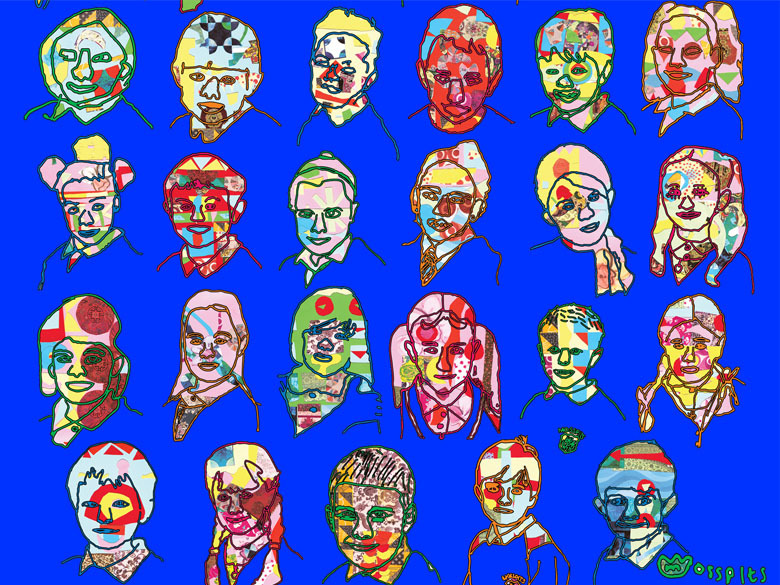 Digitally printed mural developed from a series of workshops focusing on cultural identity and exploring pupils' sense of self. 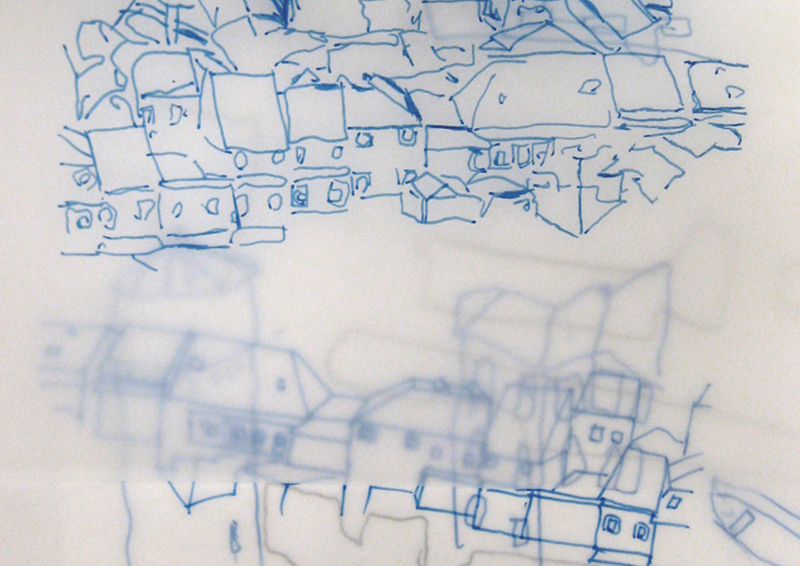 In another workshop, pupils produced an artwork using coloured cotton and ceramic tiles. 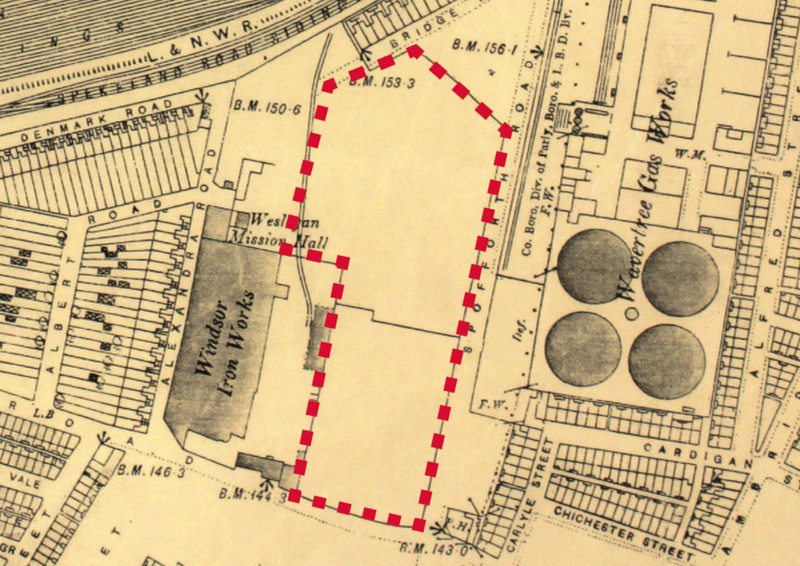 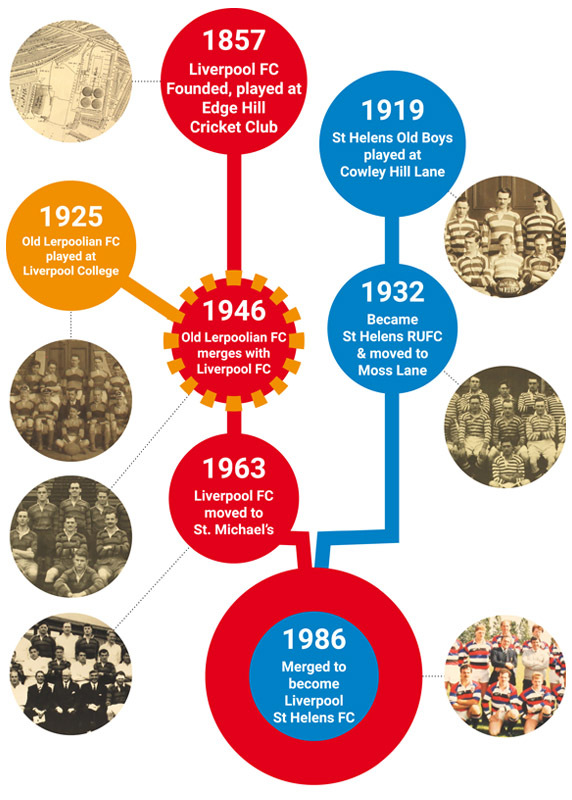 Series of activities and educational resources developed to support the Liverpool St Helens Heritage Project. 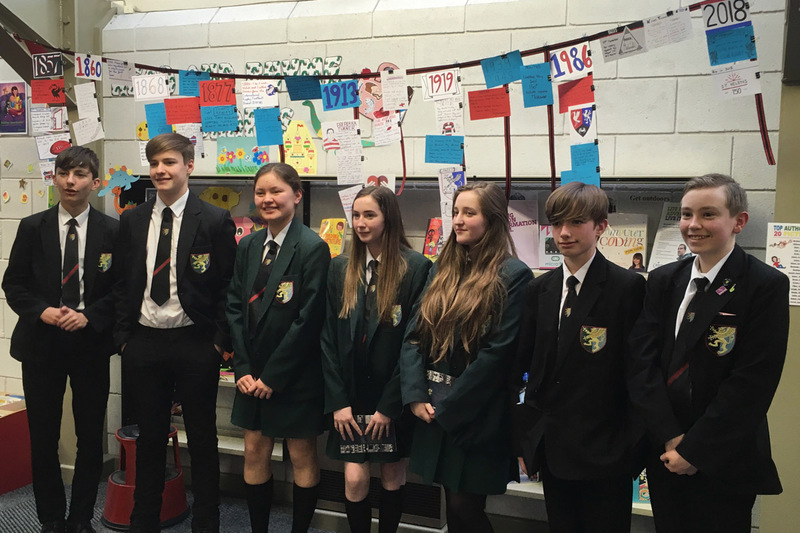 David worked with students from Cowley International College, St Helens, to create a timeline installation at Parr Library. 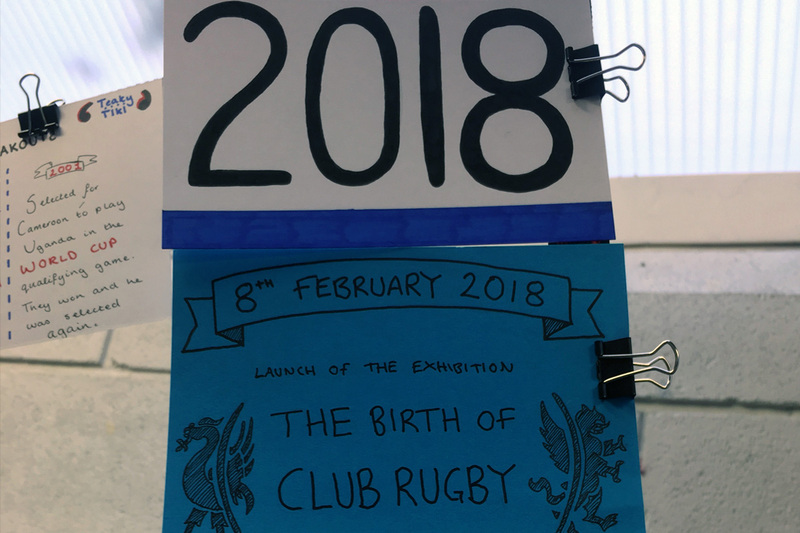 The workshop marked the launch of the exhibition "The Birth of Club Rugby". 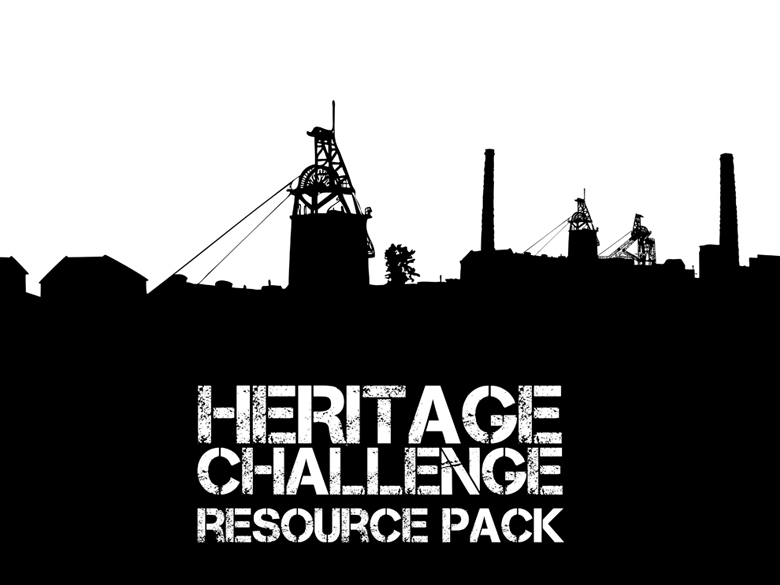 Activity showcasing the content of the Educational Resource pack produced for the Liverpool St Helens Heritage Project. 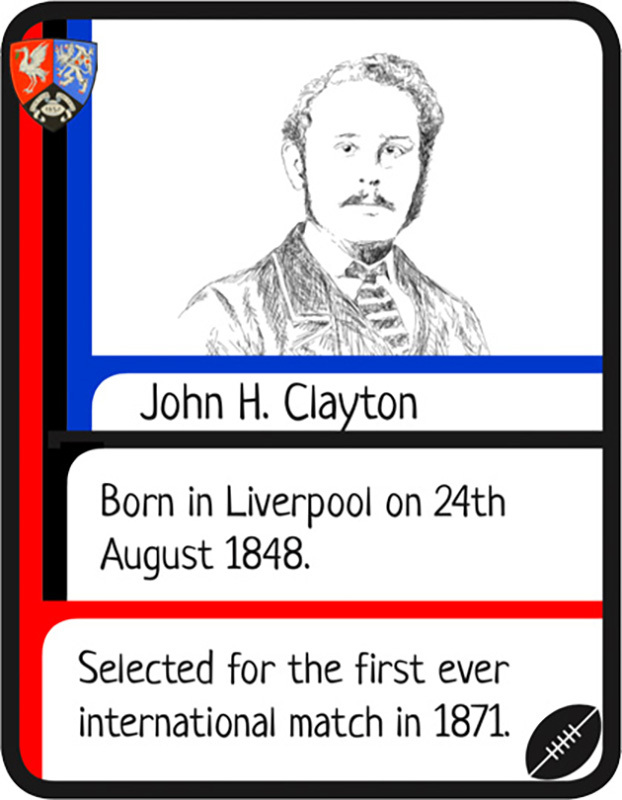 Timeline artwork and supporting educational resources, including activity pack and teachers' resources. 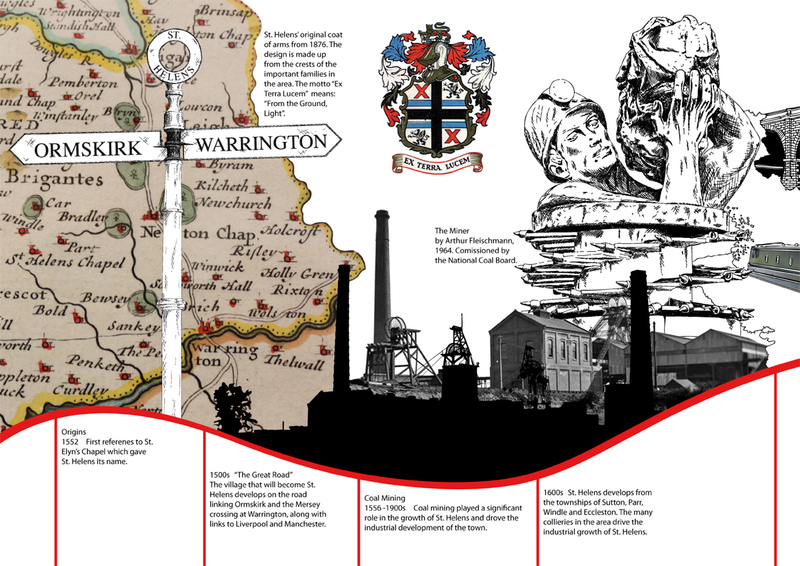 The timeline artwork incorporates images from St Helens archive, in addition to photography and original illustrations. 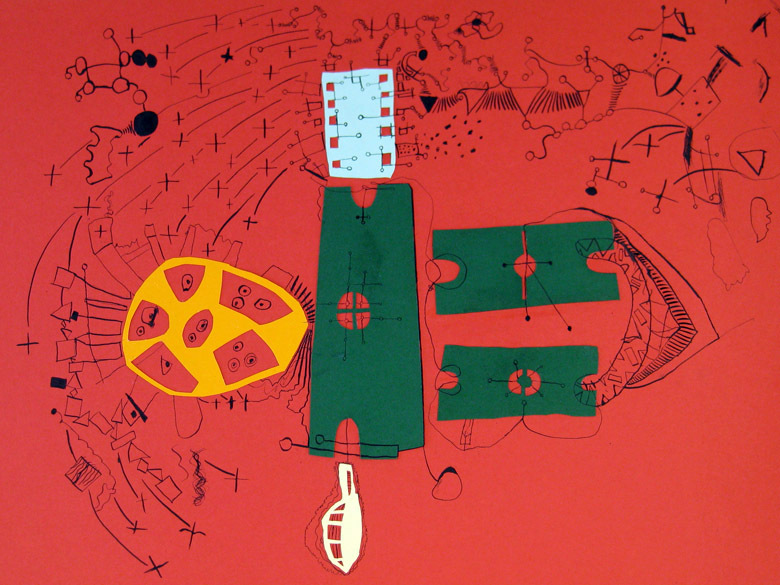 To accompany the artwork, a school activity pack and teacher's resource pack were produced. 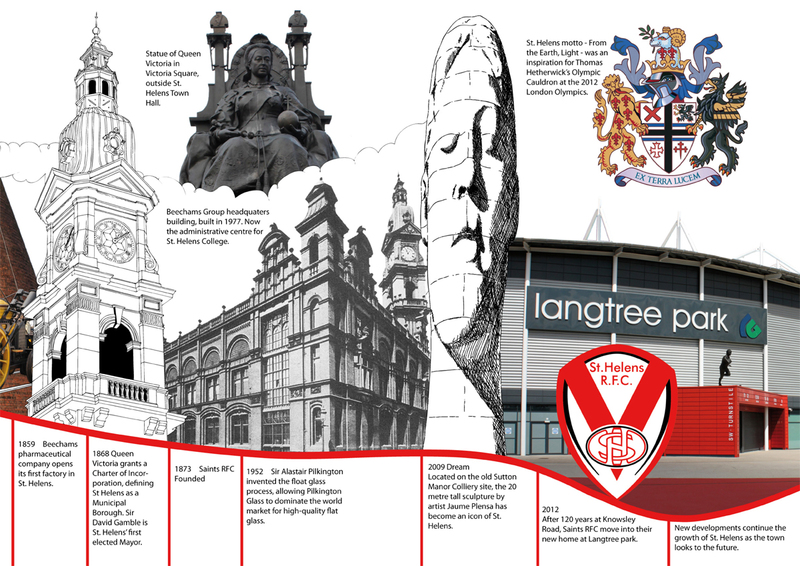 These were provided to school groups visiting Saints Rugby Club at Langtree Park, St Helens. 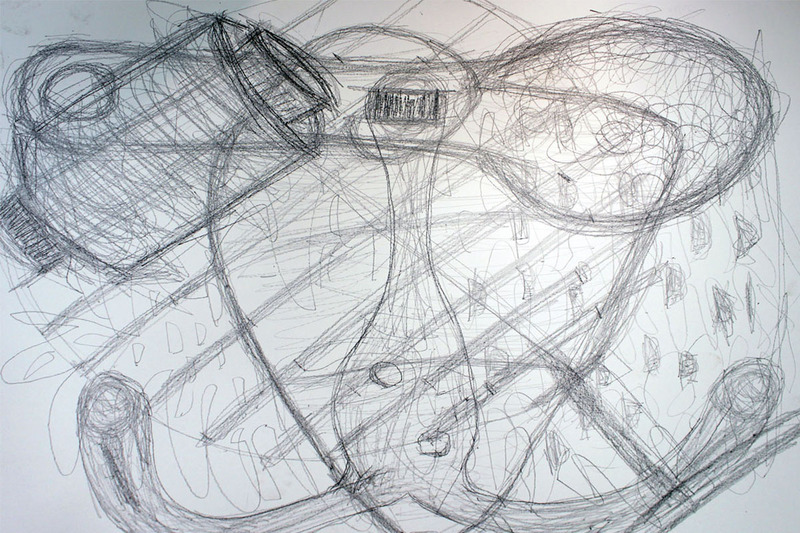 "Relaxed, open, useful, practical, wonderful. 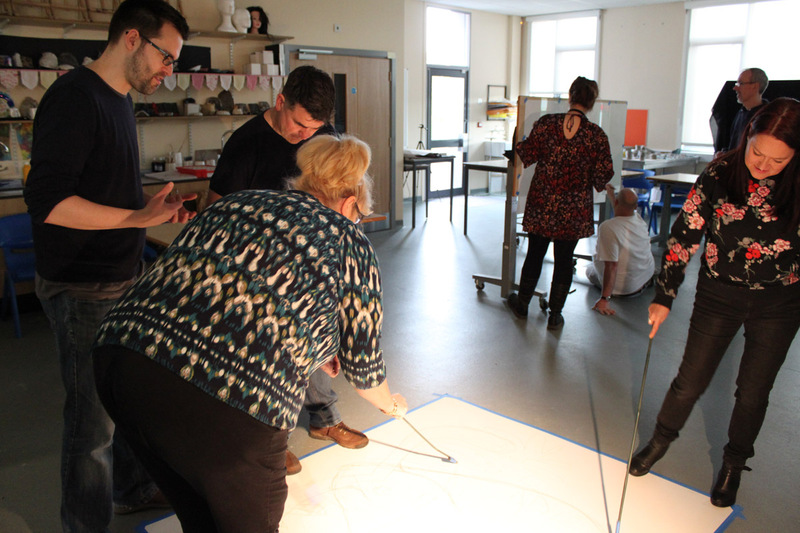 Easily adaptable and accessible activities for a wide range of pupils and staff"
Sessions explored expressive drawing techniques and incorporated innovative and adaptable uses for new technology in the classroom. 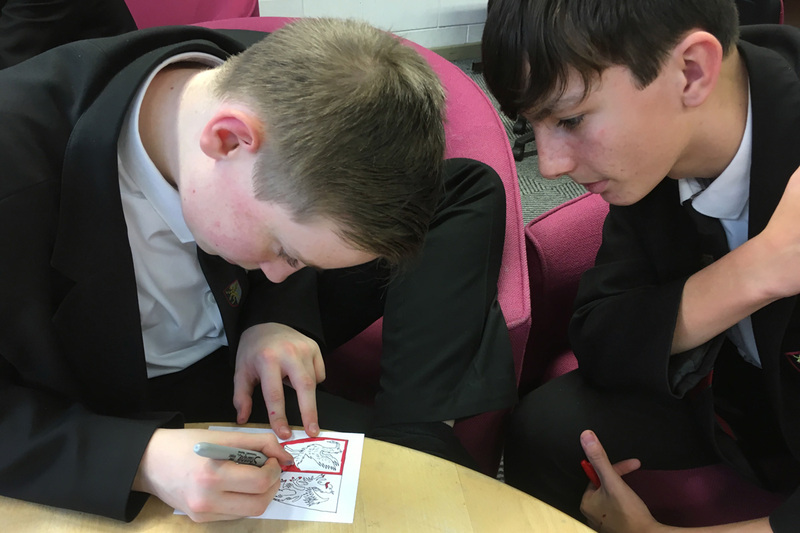 Emphasis on developing students' resilience and the positive impact of drawing and creativity on wellbeing. 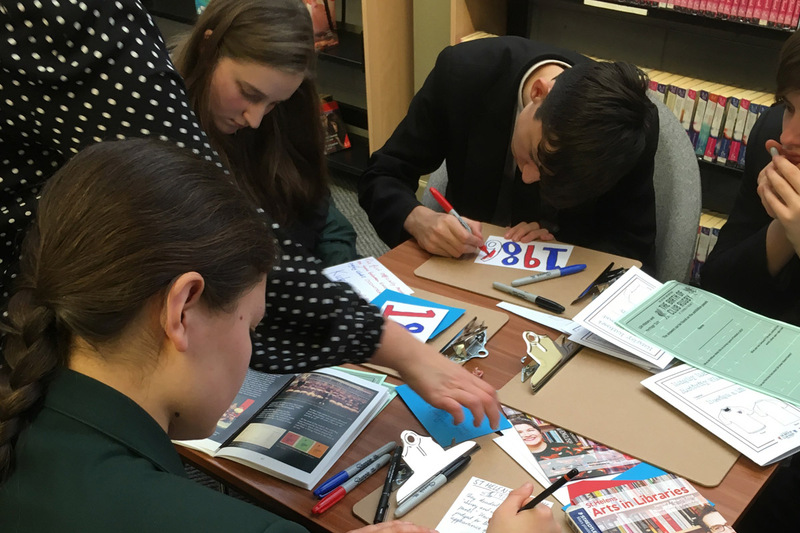 "I’m looking forward to using these ideas with my students - particularly the large collaborative work"
"Brilliant, very informative and changed my outlook on art"
Logo and brand concept for CulturEd: St Helens Cultural Education Partnership. 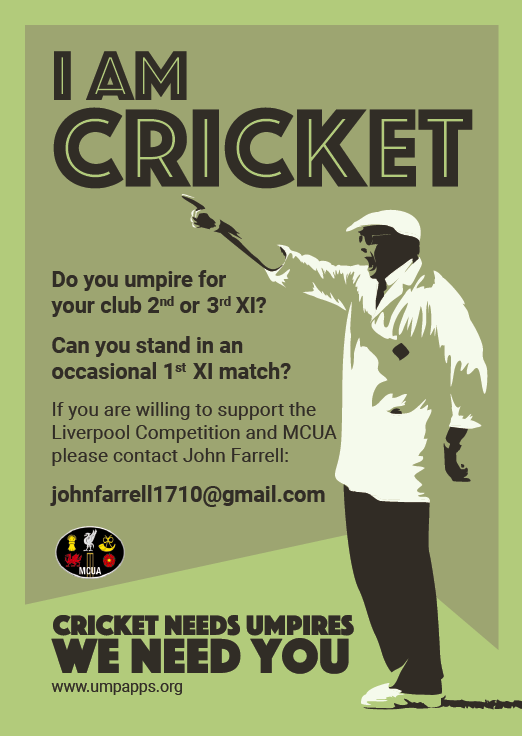 Cricket umpire recruitment campaign for Merseyside Cricket Umpires Association. 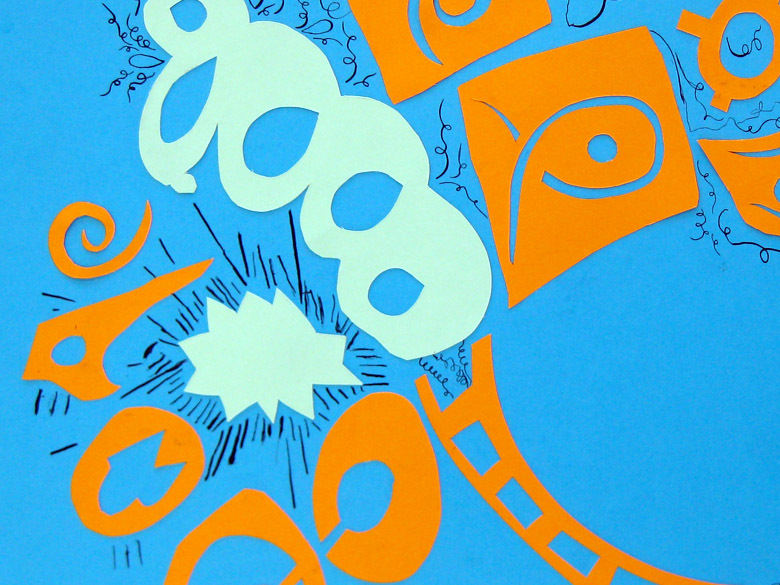 The design is based on vintage cricket posters.